Βάζο Αρ Ντεκό από γυαλί καμέο. 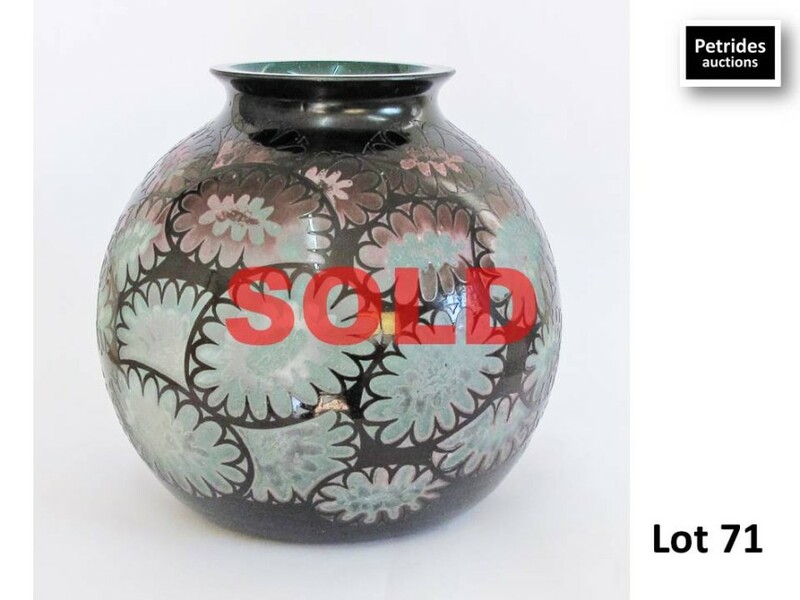 An Art Deco cameo glass vase of globular form etched with a modern pattern and signed by the artist. H21cm, W21cm. Sold for €71 incl. premium.